Hundreds of expensive Fishing Kontikis, Longline Haulers and Fishing Torpedos have been lost over the years to sharks! 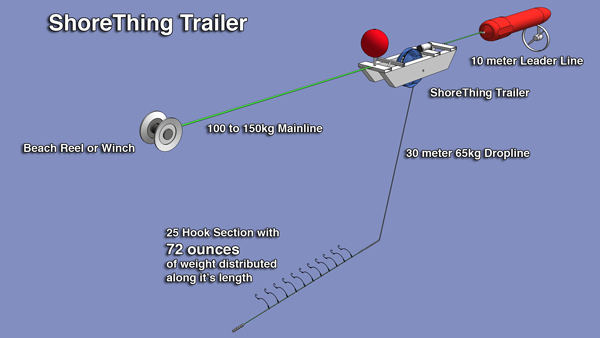 The Shorething Kontiki Fishing System has been developed to minimise the risk of sharks biting through the line that connects your kontiki to the beach by placing the hook section well away from the mainline. 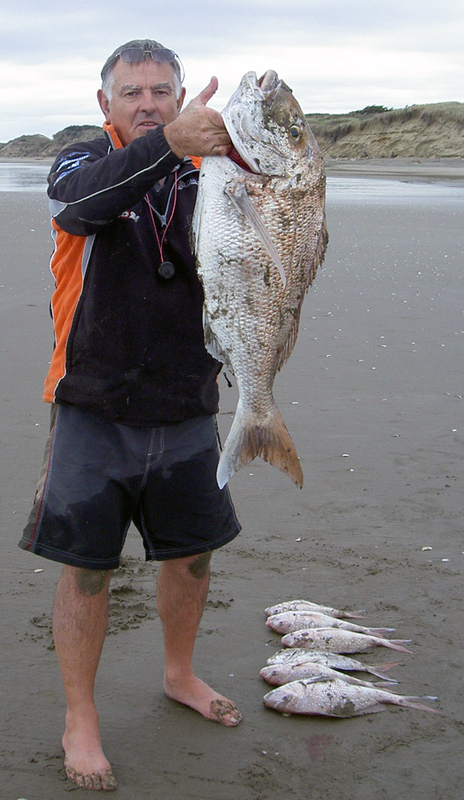 ShoreThing guru Denis Bradley will be fishing his Shorething Kontiki Fishing System in the Bay of Plenty from Saturday 14th July 2012 for about week. He intends going as far south as Tauranga. Denis is a very experienced ShoreThing kontiki expert and has offered to show anyone who who would like to see a ShoreThing in action the opportunity to come along and watch. View The Three ShoreThing Kontiki Fishing Videos Here. View The Three ShoreThing Kontiki Fishing Videos Here if the player above is not working. Shop Address: 39a Neilson St, Onehunga, Auckland. Phone: (09) 634 5005 or visit our Shopping Website and shop 24/7 at your leisure.